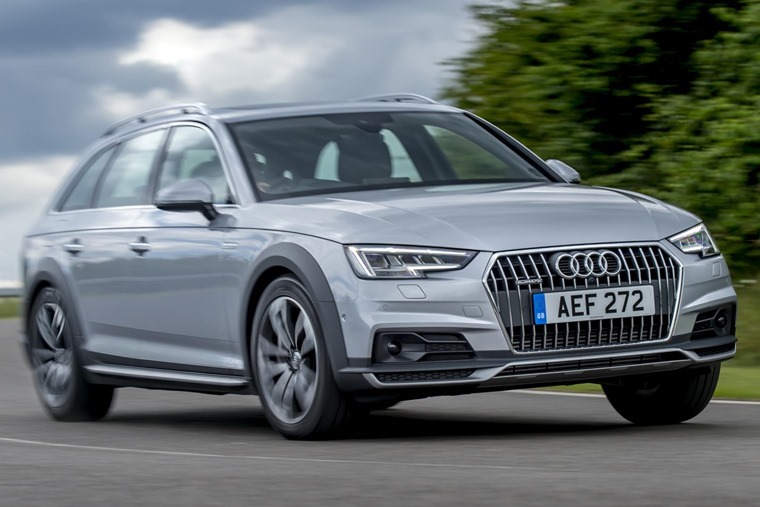 Quattro vs xDrive vs 4Matic: Is all-wheel drive worth the cost? Winter is officially on the way. The temperature is dropping, the leaves are falling and of course the roads are more often than not wet, not dry. 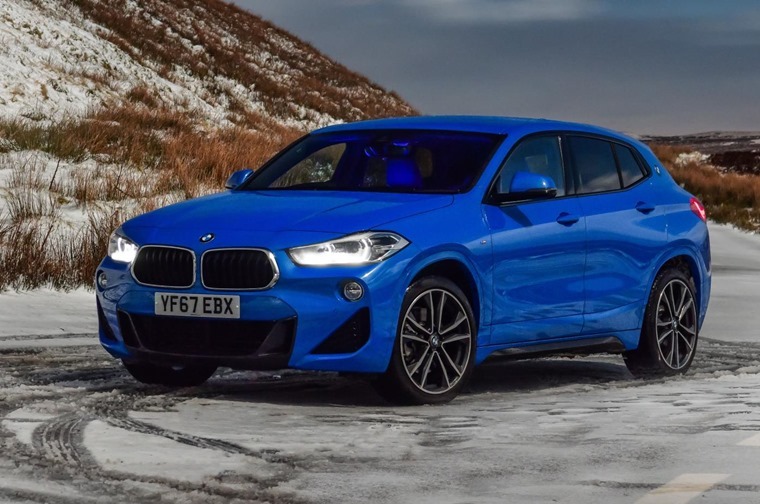 We all know that conditions can be treacherous for drivers over this period, and for those looking for a new car, it’s always worth considering whether you want the added benefit of a four-wheel drive system. No, we’re not talking about a mud-plugging Land Rover Discovery. We’re talking about some of the most popular lease cars. Many premium manufacturers offer four-wheel drive versions of their traditionally two-wheel drive models. 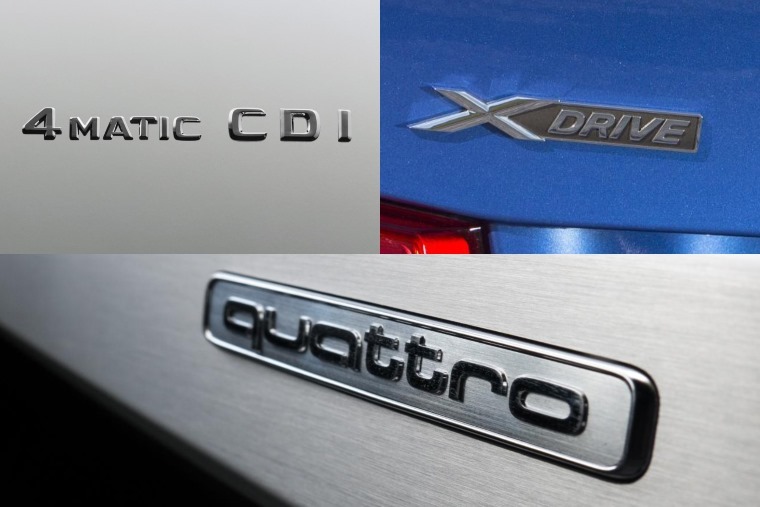 Audi, BMW and Mercedes, for example, offer Quattro, xDrive and 4MATIC respectively. We’ve taken a closer look at these systems, considered whether they’re worth going for, and tried to work out which is best for you … and keep things as simple as possible, because it gets a bit complicated. We’ll kick off with Audi’s iconic Quattro badge. After all, it was this system that put the idea of putting an all-wheel drive system in an otherwise ordinary family car back in the 80s. But technology has moved on since then though, and Quattro is available on pretty much every Audi (full list below). The standard Torsen Quattro system you’ll find on most models features a clever centre differential (essentially a set of rotating gears that directs power to both the front and rear axle. The system is compact design and can send the required power to the required wheel when grip is lost. In the real world, this of course means extra grip on slippery surfaces, but it also significantly enhances road holding – something particularly valuable on the brand’s high performance RS models. However, it’s worth bearing in mind that not all Quattro systems are created equal. As well as the traditional Torsen system above, in more compact models such as the TT and S3 a ‘Haldex’ system is used. Compared to the Torsen system – which uses a 50:50 torque split between front and back under normal conditions, the Haldex unit sends all its torque to the front wheels, sending more power to the rear as and when necessary should traction be lost. Like a Torsen Quattro system, xDrive is a full-time, all-wheel drive system. Unlike Audi, however, it sends 40% of drive to the front and 60% to the rear under normal conditions. Why? Because despite wanting to offer extra grip, BMW was keen to ensure its sporty traditional rear-wheel drive bias is maintained. However, courtesy of a quick-witted computer, the amount of power going to any one wheel can be altered in a tenth of a second, with 100% of torque going to the front or rear if necessary. What’s more, models that feature BMW’s Dynamic Stability Control can help rotate the car into a turn by braking individual wheels. So, while rear-drive bias remains, xDrive BMWs perform well when the going gets tough, too. It’s a hot debate whether it beats Audi’s Quattro system, but the consensus seems to be that xDrive just edges it for pure driving fun. Of the three premium German brands, Mercedes’ 4Matic is the less well-known of the trio, but that’s not because it isn’t as good. Most cars fitted with 4Matic use a rear-biased power split of 45:55, but like xDrive, it uses sensors to work out exactly which wheel needs power at any given time. That’s a difficult question. 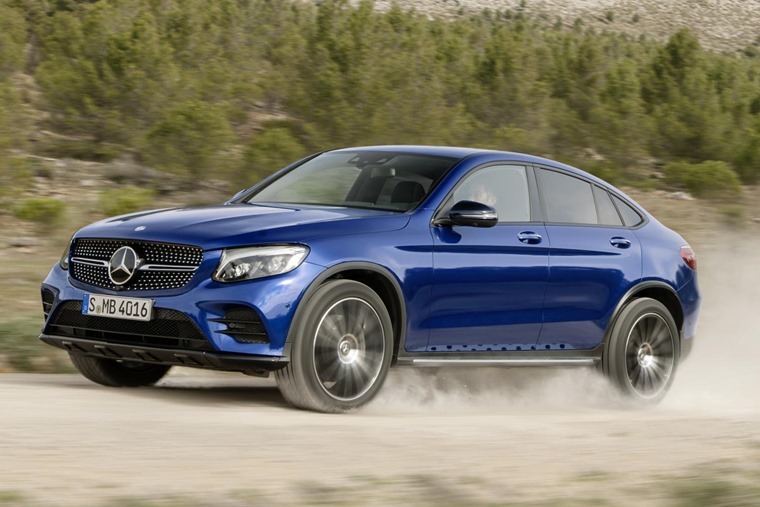 All three provide similar levels of additional grip when the going gets tough, and all three work in a very similar way – particularly xDrive and 4Matic. The more important question is probably which of the three brands you like best. In fact, the systems essentially add to the demeanour of each brand: Quattro provides sure-footed performance, xDrive is arguably the sportiest thanks to its 40:60 split, while Mercedes will take the effort out of driving – even when you lose grip. But we reckon that’s probably more to do with the cars’ respective personalities rather than their all-wheel drive systems, per se. Is all-wheel drive worth the extra cost? You’ll find that cars fitted with these all-wheel drive systems cost around £3,000 to £5,000 more than their two-wheel drive equivalents. It’s the same case when it comes to your monthly lease rates. On average, a BMW 320d xDrive Luxury costs around £30 more per month than the two-wheel drive derivative. So it really depends what you want. There’s no getting around the fact an all-wheel drive system will give you extra confidence in winter, particularly if you do a lot of miles or regularly tackle untreated roads. That said, it isn’t what you’d describe as a ‘must-have’ either. 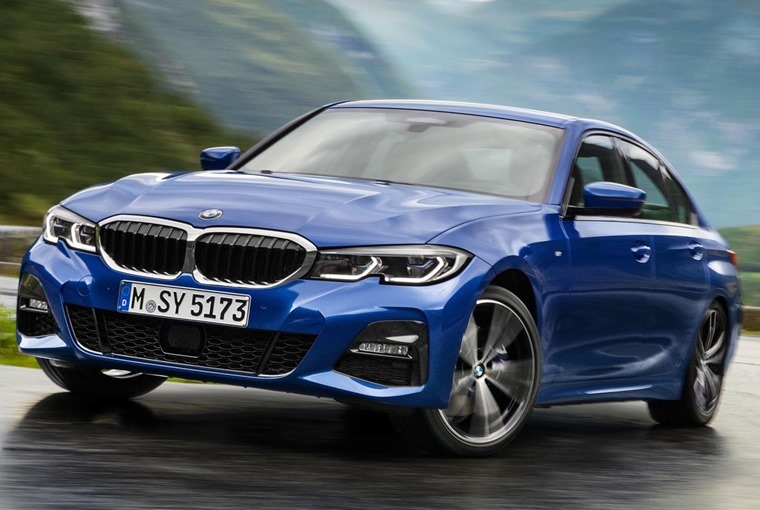 Despite increasing grip – particularly in the wet – it’s worth bearing in mind that the cars in question here come with a host of tech to keep you on the move in two-wheel drive form, too. Tyres also play an important part, and with the best all-wheel drive system in the world, you’ll still be in trouble if the tyres aren’t up to scratch. Want to read some more wintery content? Here’s five things to keep in mind when driving in the snow and ice. Alternatively, here’s some top tips to help you tackle the dreaded de-icing.